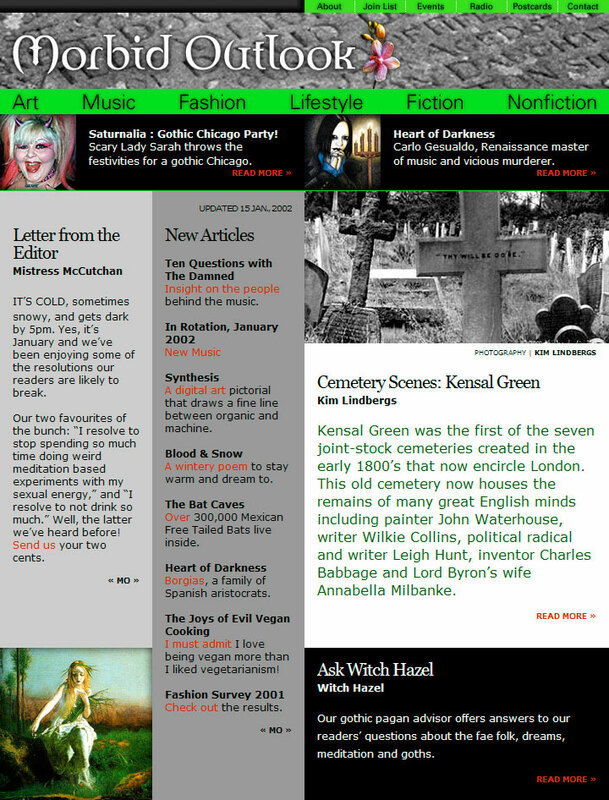 The premier Gothic lifestyle online magazine portal. There are markets everywhere. This project was for a friend who decided that she wanted a more polished look for her e-zine that was easier to maintain. As a side note, this magazine is still hand coded and would do much better if moved to a CMS. To increase the number of viewers online, to enhance and support greater advertising revenue potential and to expand the base viewing audience. Thirst completely overhauled Morbid Outlook’s online experience. 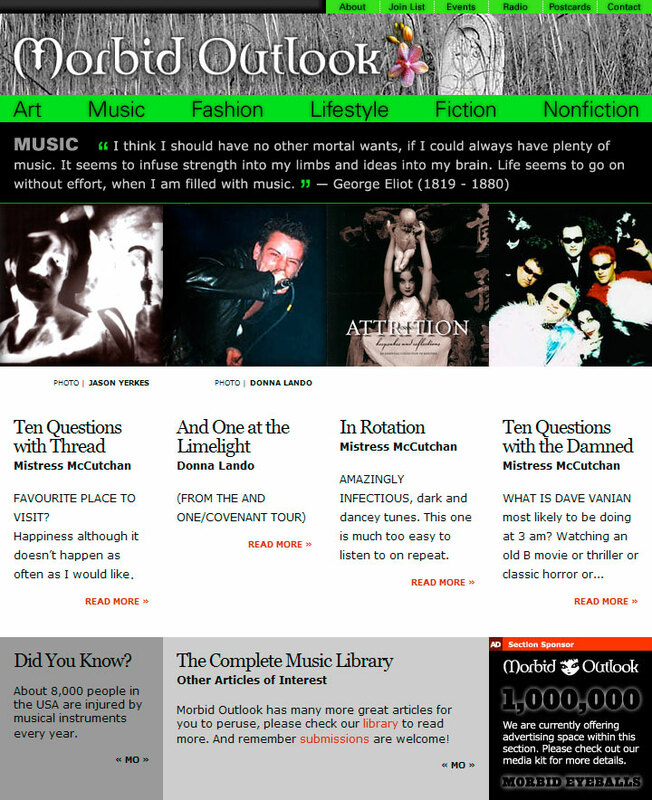 The new site has easy access to much more content. The levels of editorial are supported within a clear navigational structure and all pages are enhanced by leveraging the site’s personalities and artists. Only a month after the redesign, the hits doubled, the average length of visit increased over 60% and the number of pages viewed per visit more than doubled. 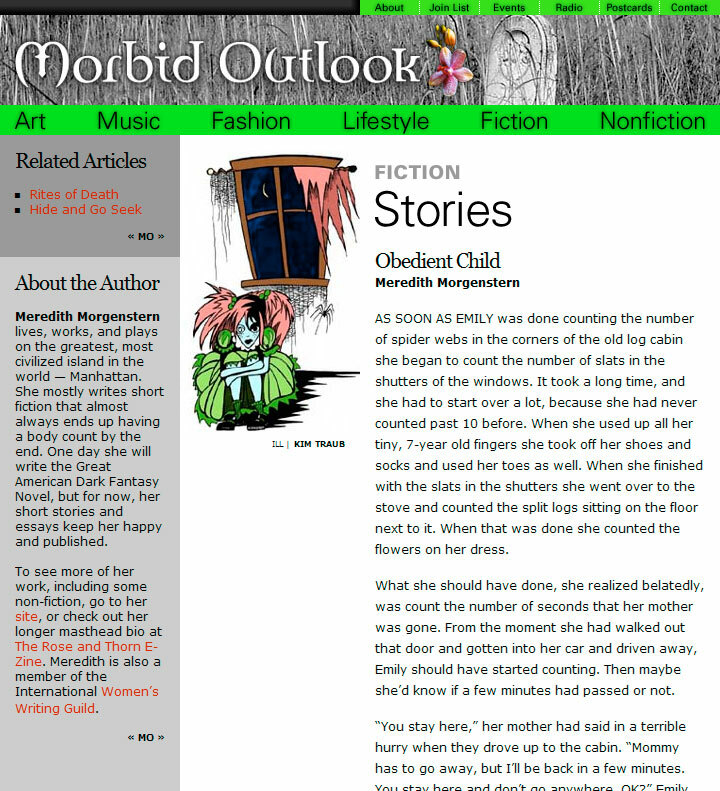 Morbid Outlook now has an easily scaleable template framework to facilitate its strong site growth. This entry was posted on 2009.01.04 at 11.58 am and is filed under Publishing. You can follow any responses to this entry through the RSS 2.0 feed. You can leave a response, or trackback from your own site.